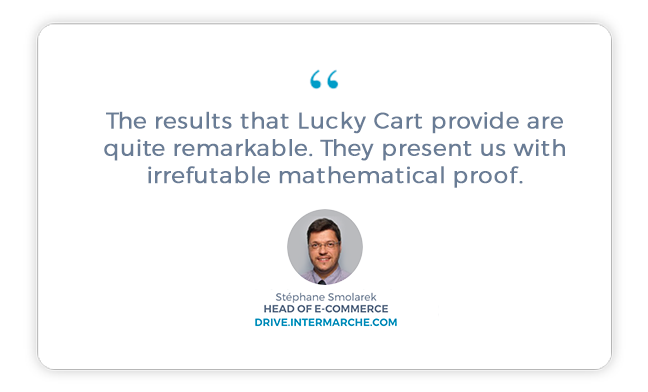 increases the ROI of its promotions thanks to Lucky Cart. The context and the retailer's objectives when it comes to creating and distributing promotional offers. How Lucky Cart uses its PMP (Promotion Management Platform) to personalise promotional messages and assess performance. The communication materials for the promotional offers distributed to Drive Intermarché's clients. The key figures and results thanks to the PMP: incremental revenue at a pre-determined cost.